You have your daily routine. Maybe you wake up, pour yourself a cup of coffee, take a shower. If you could make your body skin look younger, firmer and more beautiful, would you be willing to add this resveratrol-packed, premium cream into that routine? We know you won't regret it. Love it. Truly melts in your body. 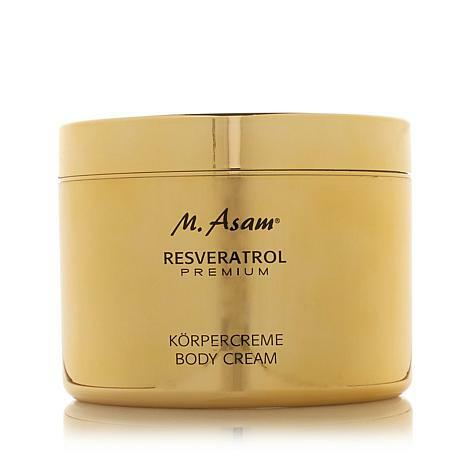 I love all of the M. Asam products, but was so happy that I tried this body cream! It gives my arms and legs such a smooth look with no lines at all! It isn't greasy so, it is very easy to get dressed. I have now purchased extras as gifts for family members who also love M. Asam! 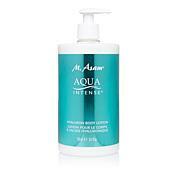 Very good product, makes skin feel silky and smooth. I've used this body cream a few times so far and it does a good job. However, it is not as light as the Vynolift Hyaluron body cream, which I liked better. This one is much thicker to spread over the skin and has a bit of a greasy feeling until it dries.